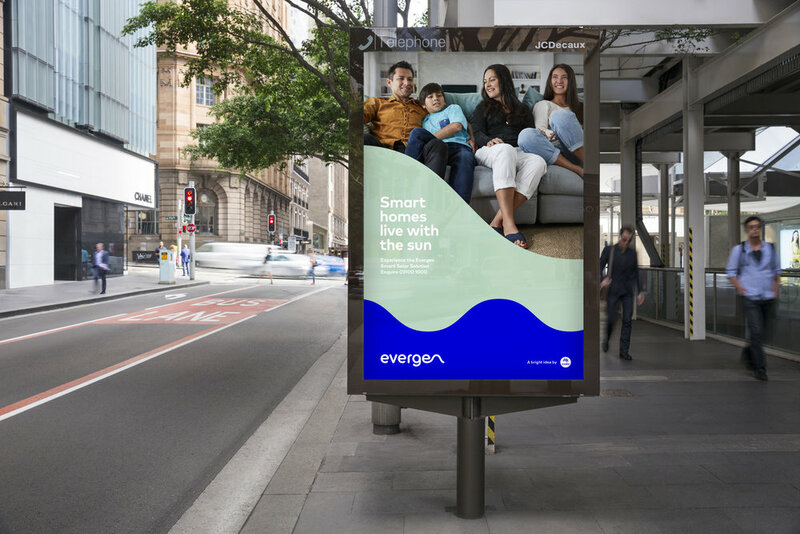 Evergen is aiming to quietly reshape Australia’s domestic solar energy market. 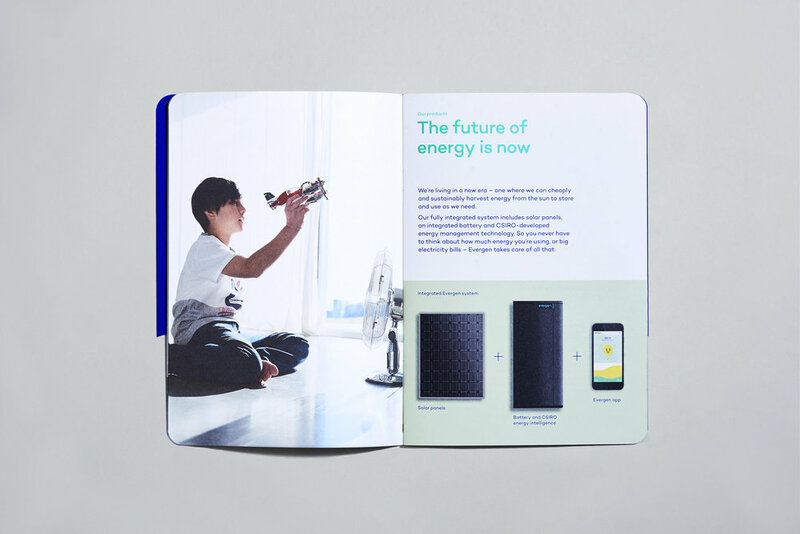 Jointly funded by CSIRO and AMP Capital, it’s the smartest energy appliance system you can get for your home. The product – solar panels and an integrated battery, coupled with an intelligent energy-management system – is truly innovative. The challenge Evergen faced was in striking the right balance. On one hand it wanted to be seen as a warm, friendly energy start up, offering cost-saving convenience for the home. On the other, it had to communicate cutting edge technology, by leveraging the credibility and heritage of its formidable-yet-faceless institutional roots. The solution cuts through in a crowded, tech-driven category. 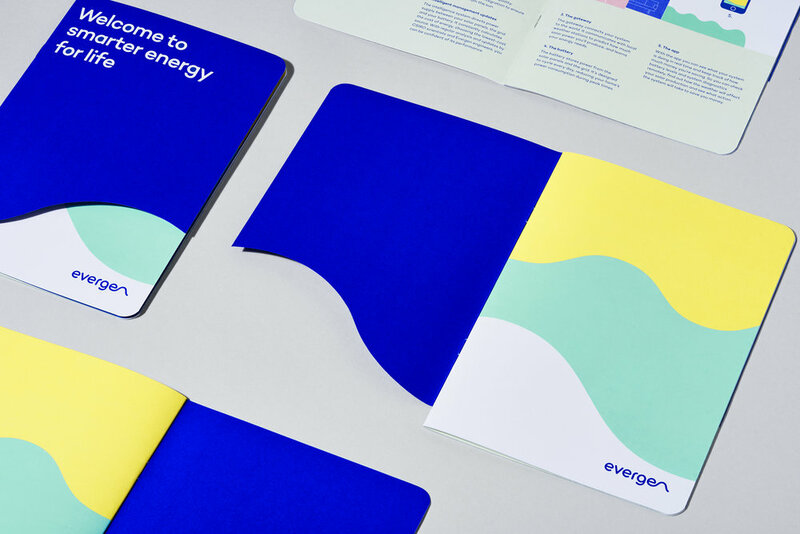 By positioning the brand as a lifestyle product for the home, we created an identity that aligned Evergen with the most sophisticated home appliance brands. The identity is based on an expressive curve that references the wave-like motion of the sun. 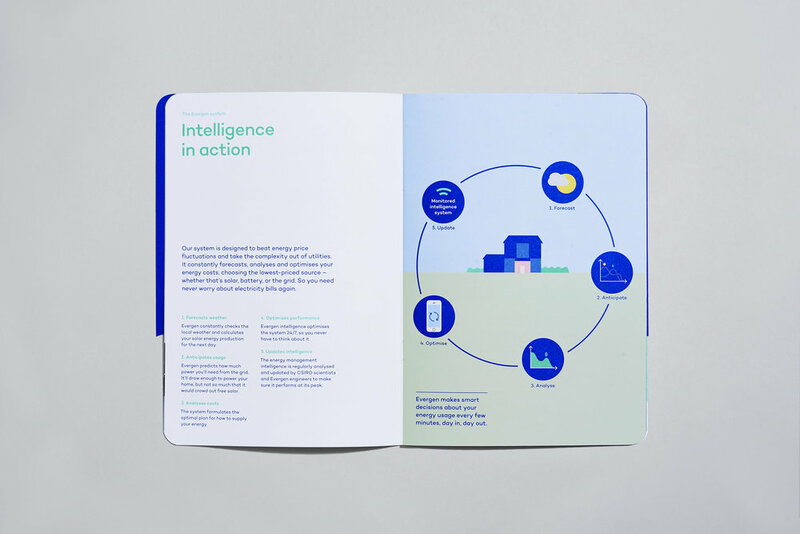 Every touchpoint, from customer communications through to user interface and experience design, works together to create a brand that feels warm and welcoming, yet ultra progressive.